It’s a bird, it’s a plane, it’s … a neighborhood mystery. That we can’t figure out. So now we’re bringing it to you, our readers, to see if you have any answers. 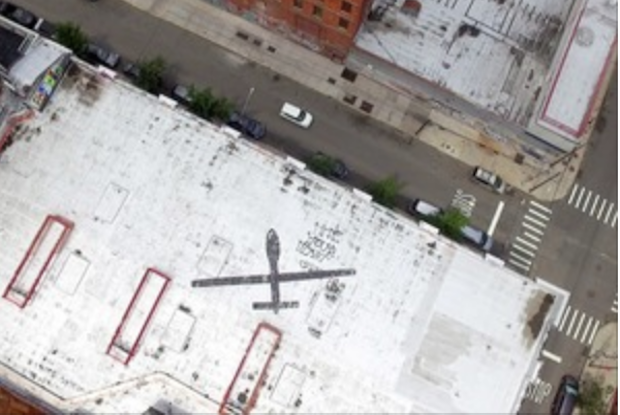 Over the past two years, a giant image of a predator drone shadow has appeared on the roof of at least four separate buildings in the neighborhood, but no one seems to know where the images came from. 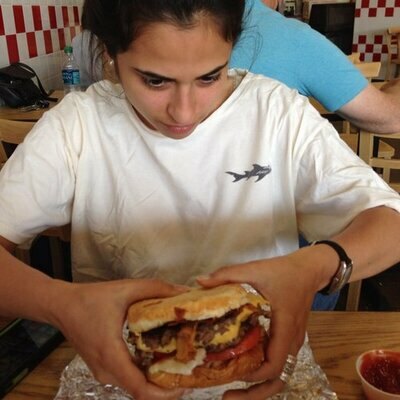 This mystery comes from Bushwick Daily reader and contributor, Phil Buehler. It all started in 2016 when Buehler, a local artist, was doing research for a book about the neighborhood that he was working on. 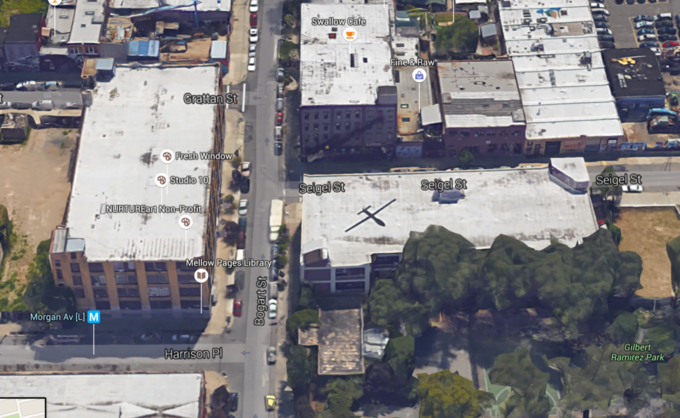 While looking at Google maps satellite view, he noticed the shadow of a drone on the roof of 315 Seigel Street. Was it an actual drone? Was it just a cleverly placed work of Bushwick street art? Buehler made his way to the roof of a nearby building to figure out what was going on, and saw that it had indeed been an image of a drone painted onto the roof, but that it had since been painted over so that it could no longer be seen from above. But, it appears that the determined drone artist wasn’t deterred by the removal. Before long, the same image appeared on top of 56 Bogart, another building just across the street. And, if you go to Google maps today, the image is still there, though it’s since been painted over, too. 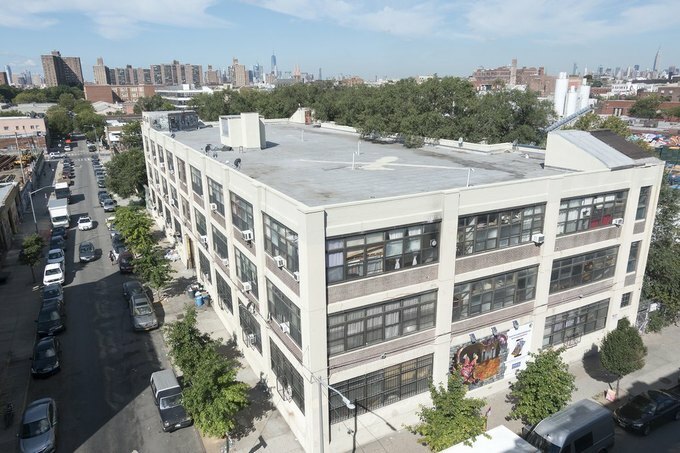 Some additional combing through Google maps revealed that the same image is also on top of two more buildings: 270 Varet Street in Williamsburg and 889 Broadway in Bushwick. Unlike the others, the predator drone on top of 270 Varet is definitely still there, though we don't know for sure about the one at 889 Broadway. After doing some research, Buehler found that London-based artist James Bridle regularly paints outlines of predator drones on streets and sidewalks all over the world. Buehler got in touch with Bridle to ask if he was responsible for the Williamsburg-Bushwick drones as well, but Bridle responded saying it wasn’t him. If you can provide any clues or have spotted this image on other rooftops in the neighborhood, let us know in the comments below!